The right web hosting will make it a lot easier for your website to become a success. The wrong web hosting can all but guarantee failure. On this site we are going to introduce you to different types of web hosting and help make it easier for you to make the right choice when you are deciding where to host your website. Which hosting provider you chose is just as important as the type of hosting you decide to get. Some hosting providers provide very good service that keeps your site online at all times. Other providers offer services with a lot more down time. No one can visit your website during the down time and down time can be very expensive if you operate a business where each and single client can earn you a lot of money. You should always try to chose a broker that has a very good reputation and that offer a stable service without downtime. It also very good if the service provider offer production against different types of attacks your website might fall victim to. Different types of attacks are an all too common occurrence on the web and you should never assume that you wont be targeted. A very large percentage of all websites are at one time or another. A good hosting provider will do what they can to offer stable hosting and good customer service. Different types of CMS (Content management system) that you can use to build your website need different environments to run. Many of the most popular CMS such as WordPress and Jomla needs an environment that supports php and MySQL (UNIX). Other software use ASP and need a Windows server to run. It is very important that you get hosting that provided the right environment for the scripts you want to use. A Unix bases server with PHP and MySQl is usually the best option if you do not know what you want. Most websites is based around PHP and MySQL but if you want to use something that needs ASP then you should get a windows service. Please observe that you have to choice one alternative. You can not mix scripts that prefers different environments on the same hosting. This website is based on WordPress running on a UNIX based hosting with PHP and MySQL support. This is a combination that gives you a lot of different options and that can be used to run most websites. If you just want to use HTML to build your website than you can use any environment. 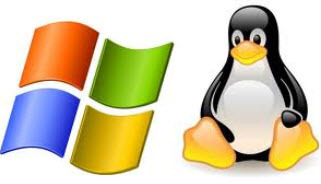 UNIX or Windows. Free hosting is just what the name suggest it is. It is hosting that you get for free. Most services offering free hosting will only give you access to a limit amount of different features and is usually only suited for small websites. Free hosting can be an adequate option when you first get started with your website but I still recommend against using it. Free hosting makes it hard to grow and it can often be very hard to move the website when you have outgrown the free environment. Shared hosting can be very cheap and I recommend that you pay for shared hosting if your goals is to grow your website. You will be grateful that you did in the long run. Shared hosting is hosting designed for smaller websites with a limited amount of traffic. Shared hosting is just what the name suggests, shared. Your website is not the only one on the server. Instead there are 100s or ever 1000s of websites hosted on the server. All sharing the same resources. If one of them get DDOS attacked then it will affect all sites on the server etc. Shared hosting often have strict rules for how much resources a website is allowed to use. If your website grows and starts to use more resources then you will be asked to upgrade your account or move to different hosting. The reason for this is that they need to limit the resources each client can use so that the service remain good for the other accounts on the same server. This is a good thing. It protects your sites as well as other clients site. Shared hosting can be cheap and is a good option when you first build your website. It gives you full control over your site without breaking the bank. Most shared hosting providers make it very easy to upgrade to better hosting and most hosts will migrate your site from your old hosting if you want to move to a new hosting provider. Shared hosting is the best option for most people who are building their first website. WordPress hosting is shared hosting specially designed to host WordPress sites. We do not recommend this type of hosting. It provides limited benefits and is a lot more expensive than regular hosting. It is a way for server companies to earn a lot of money from people who feel afraid to install WordPress themselves. Something that takes 1 minute to do and that you can do even if you never installed anything before. You can get a much better regular hosting for the same price as the WordPress Hosting. You can get a roughly equivalent hosting for a fraction of the cost. 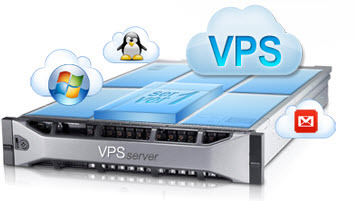 VPS is an abbreviation for Virtual Private server. A VPS server works a lot like dedicates server but you share it with a low number of other account holders. This allows you to get a lot of the benefits of a dedicated server but you do not have to pay for a dedicates server. Instead you pay a fraction of the price of a dedicated server. The other VPS holders on the server pays the other fractions. Each account has a part of the servers memory, CPU power etc ear marked to be used only by that VPS. Most VPS servers give you a high degree of control over server side applications and you can choose your server settings. If you are using a cPanel based system then you will have access to WHM. An interface that makes it easy to control the virtual server. A VPS is a good option for websites that are too big to be suitable for shared hosting or that requires access to server settings that are not available on a shared hosting. A VPS gives you a lot more resources than shared hosting but there is still limitations to how much resources you can use. It is similar to a shared hosting account on steroids. Always use a VPS or a dedicated server if you want to build a website about gambling, binary options, CFD certificates, day trading or other topic where you can earn a lot of money from a single visitor. Topics where every lost visitor can cost you a lot of money. This trading website saw a 35% increase in their revenue (mostly profit) after switching from shared hosting to a dedicated server. The main reason for the increase was faster load times and fewer clients lost due to down time and load time. A dedicated server is the best type of hosting you can get. But it comes at a cost. A dedicated server is considerable more expensive than shared hosting and VPS hosting. 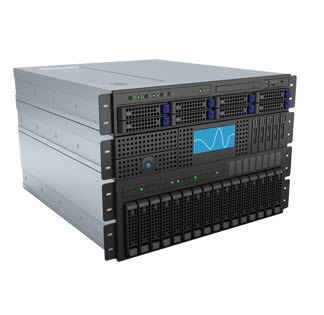 Dedicated servers start at a couple of hundred and can run up into the thousands depending on the hardware they use. A dedicated server is yours. You do not share it with anyone else. You have complete control over it and can do what you want with it. You can make sure that all the settings are as you want them and you are free to install other server level software on the server. A dedicated server allow you to create the perfect environment for your website to run in. A dedicated server can run very large websites and you can replace the hardware if you require more power. There are no limitations to the amount of server resources you can use if you have a dedicated server. You can use as much as the server can provide. If you try to use more then the service will slow down. You are allowed to do this if you want since it does not affect anyone elses website. 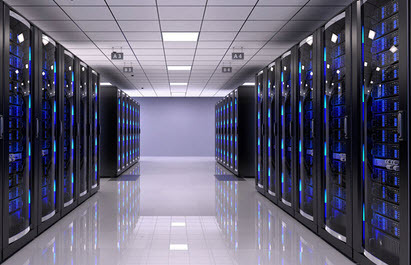 Dedicated servers is a good option for anyone running a large website or a number of small ones. It is not cheap but is often worth it to be able to control your own fate.